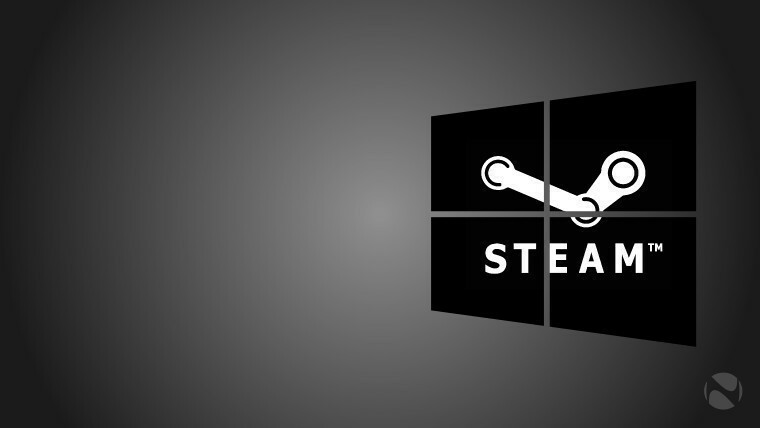 Last month, we reported that the Windows 10 user base on Steam had remained stagnant at 51.07%, whereas Windows 7 had seen an increase and accounted for 35.42%. 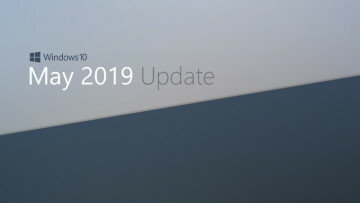 The latest statistics provided by Valve depicts a similar trend, except for the fact that Windows 10's user base has lost more than one percentage point compared to the previous report. According to Steam's hardware survey report for May 2017, Windows 10 now commands a user base of 50.01%. 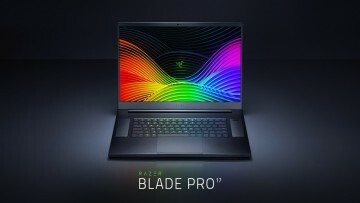 This comprises of 49.05% people which use the 64-bit version of the OS and 0.96% gamers which utilize the 32-bit version. Overall, this is a decline of 1.06 percentage points compared to the statistics provided in the April 2017 report. On the other hand, Windows 7 continued its upward climb and is being used by 36.75% of surveyed gamers. 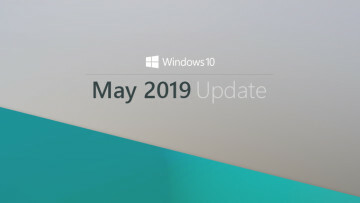 This is a noticeable increase compared to the 35.42% reported last month and may be indicative of a positive trend for the operating system. All other versions of Windows faced a decline, with the operating system now commanding a user base of 96.06%. On the other hand, Apple's OS X grew to 3.05%. MacOS 10.12.4 and MacOS 10.12.5 were the only versions to see an increase. 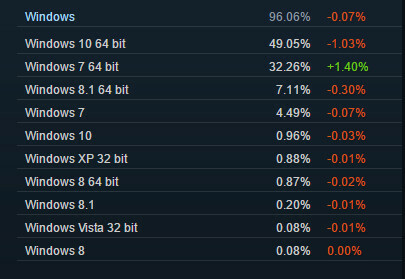 Linux finally gained some user base as well, and now sits at 0.81%. On the hardware side of things, statistics indicated the same trend that we have been seeing for quite a few months. 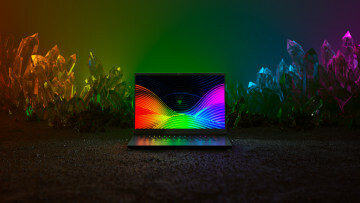 8GB of RAM is still the most-used configuration, and the display resolution for primary displays and multi-monitor setups was 1920x1080 and 3840x1080 respectively. That said, it is important to note that the statistics showed in the Steam's report are based on optional user surveys and may not accurately depict the real situation.